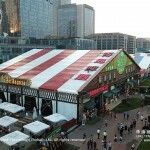 The Food Festival is popular worldwide and has become a traditional festival in many countries. It is a festival that consists of tasting delicious food from the local markets in the country. Usually the food festival is expected to have more than 10,000 visitors per day. To provide a place for the vendors to prepare their food and for visitors to enjoy their food it is very important for them to have a good organizer. To create a nice,clean environment for the visitors dining,there are many things that need to be checked. They need to ensure fire safety for vendors. Spacious room indoor and outdoor,many fire exits,and flame retardant building materials. It usually costs a lot for these requirements to be met. 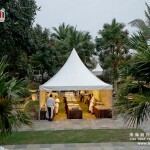 A tent is an ideal solution. The organizer will just need to rent an open space,rent tents,and then it can be built within a week. 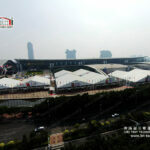 Zhuhai Liri Tent Technology is a leading company in outdoor food festival tent design,manufacture,and rental. 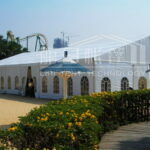 The rental stock for all kinds of tent sizes range from 3m to 60m span. The food festival tent can be decorated to meet any theme. 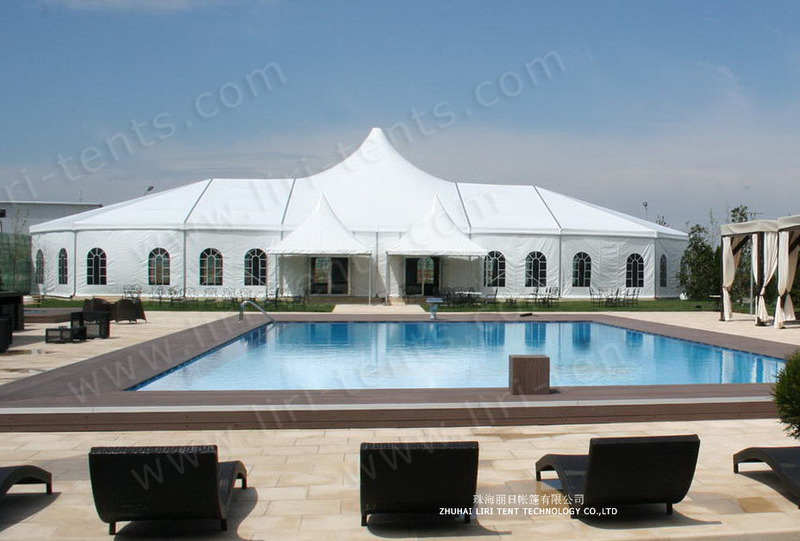 The picture below is a tent from our company as a boat. When the tent was finished being built,wood panels were installed outside to make a boat shape. From the outside it is a boat but inside,it is a tent.